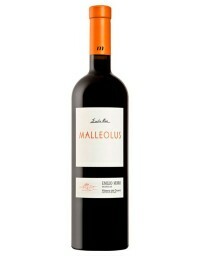 Malleolus is probably one of the finest and most convincing expressions of the Tempranillo variety's excellent qualities. Year after year, it enables Emilio Moro to demonstrate why this great winery has such prestige. It's made from the grapes of old vineyards, ranging in age between 25 and 75 years old, from the estate called Camino Viejo, located on a very steep slope on a clay-based hillside, at an altitude of about 900 metres. 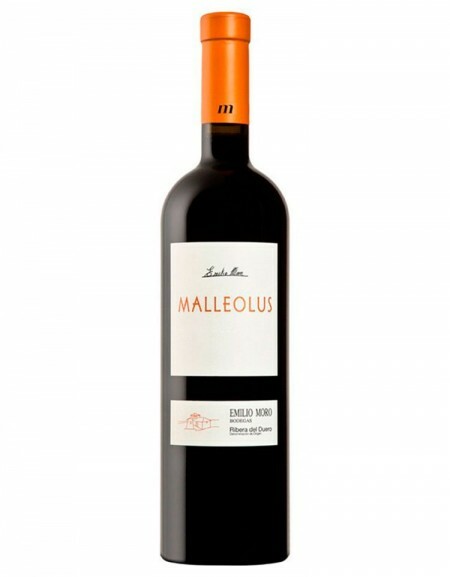 Malleolus is a Latin word that means 'a small hammer or mallet' used in planting, and 'majuelo' is a Spanish derivative meaning 'young vine', but it's the traditional way of referring to a vineyard in Pesquera del Duero. The wine is a deep Picota cherry colour and dense, with a garnet rim. On the nose, Malleolus is elegant and sincere, releasing smoky aromas, along with coffee and violets, but above all others the most notable are the black fruit (blackberries and plums) and spices associated with the effect of the oak (vanilla); earthy hints and balsamic touches round off a fabulous aromatic display. On the palate, it's lush, round and balanced; complex and medium-bodied. Its crisp, ripe tannins fill the whole palate with restraint and a measured powerfulness. Its finish is elegant and harmonious, and it leaves a very pleasant memory.